Previously posted in the Turbo Zone in error. My '73 tii has a factory replacement block. I wonder what these marks reveal... The block was cast with the EB Foundry Mark. I suspect that 2 D 74 is 2 April 1974. Marking 1 is A 3 6. Marking 2 has the BMW logo and 23 E US. Further down the mounting is the stamp '5413'. 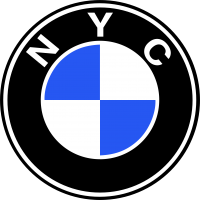 “A 3 6” probably signifies a factory remanufactured engine that was remanufactured in March 1986 (unless it was March 1996: we don’t know how long BMW continued to remanufacture M10 engines for ‘02’s). ”23 E US” is not on this T.R.I.’s listing. “21 US” is a 1976 49-state engine, “22 TI US” is an E12 head U.S. tii engine, etc. ”5413” is likely the remanufactured engine’s new serial number. And, yes, your block was cast April 2, 1974. A few more items: Cylinder Head casting - Feb. 1976, Block Part # from original 1974 Casing and X X signifying a rebuilt motor. Now a 1999 factory motor document which shows on page 10 that a M10 marked 23E was a 20B motor. Assume that the US suffix was a market designation. Good document to have! Yes, “US”- marked replacement engines purportedly met applicable U.S. emissions standards. Here is an earlier BMW doc 1990 that also had Hp numbers and mfr location. That’s the T.R.I. I referenced above, but which I’m completely unable to copy into the forum, and maintain access. My old link must have some fatal defect.